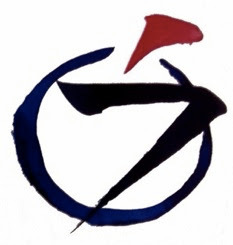 Zhaozhou Congshen (Joshu Jushin, 778-897, 10th gen). Go to ZHAOZHOU. Zhaozhou went to a hermit's hut and asked, "Anybody in? Anybody in?" The hermit thrust up his fist. Zhaozhou said, "The water is too shallow for a ship to anchor." Thereupon he left. Again he went to a hermit's hut and asked, "Anybody in? Anybody in?" The hermit, too, thrust up his fist. Zhaozhou said, "Freely you give, freely you take away. Freely you kill, freely you give life." He made a profound bow. Each hermit thrust up his fist the same way. Why is one accepted and the other rejected? Tell me, what is the cause of the confusion? If on this point you can say a turning word, then you can see that Zhaozhou's tongue has no bone. Now he raises up, now he thrusts down in perfect freedom. But though this is so, it is also true that Zhaozhou himself has been seen through by the two hermits. Furthermore, if you can say that there is a distinction of superiority and inferiority between the two hermits, you have not yet the eye of realization. Neither have you the eye of realization if you say there is no distinction of superiority and inferiority between them. A sword that gives man life. "A ship cannot moor where the water is shallow" -- there are echoes in the words. "Can concede, can deny," and a bow -- there are barbs concealed in the statement. Old Zhaozhou may be said to have used all of his magical powers; the recluses were skillfully able to sit there and observe the outcome. Now there are those without autonomy, orphan souls who do not have the ye to penetrate the barrier: They just compare gain and loss, not only missing the point of the ancients but also burying their own selves. When you see with clear eyes, how can you suppress a laugh? Do you understand the point? Highly refined pure gold shouldn't change color. The two recluses keep the ultimate treasure hidden in their chests, waiting for the right people. Zhaozhou, moreover, is an ocean-faring merchant; rare are those who know the appropriate price. The meaning of being a hermit in the context of Zen Buddhism is multifold. A Zen hermit is not someone who wants to avoid the problems of the world and drops out of society. In Zen, hermits were illuminated graduates of Zen schools who isolated themselves for a period of time in order to develop their transcendental insight and practical knowledge in preparation for reentering the ordinary human world in a state of balance. To be complete Zen masters, they needed to be effective communicators; yet they also needed to be free from personal nostalgia for the human condition. When fully prepared, they would contribute knowledge genuinely beyond the fluctuating and vulnerable subjectivity of ordinary human psychology all of its anxieties and wishful thinking. A Zen "hermit" has attained nirvana and is thus inwardly beyond the world. Their "seclusion" was often more symbolic than real, a reference to their psychological independence. Zhaozhou's question asks the hermits whether their nirvana is deep enough to empower them to go on the "living road" of objective reality. One perspective is the ineffability of the absolute: Nothing at all can really describe either nirvana or the immediate experience of suchness. This perspective is called "holding still." The second perspective is the interconnectedness of everything is a cosmic web of Life. The hermit's first hold everything in its empty grip, because everything is in its place in one indivisible whole. This perspective is called "letting go." Whichever perspective you are absorbed in, it is crucial to be able to go back and forth freely in order to attain both ultimate liberation and objective compassion. It is impossible to live life without making judgment. All the time one asks oneself whether it would be better to do one thing rather than another. The problem is, however, that we tend to raise our judgments to the status of the absolute -- to presume that good and bad exist independently of each other. This koan is about what it means to go beyond good and bad, what it means to get beyond all contraries. What is at issue is getting beyond the opposites, not abandoning them. People react to situations not so much according to their spiritual maturity as according to their temperament. It is a mistake to believe Zen training produces people who never react with heat. The bite in this koan comes from the question: if "the Great Way is not difficult for those who have no preferences," what is Zhaozhou doing displaying preferences? Why does he say good in the first case and bad in the second? Put as baldly as possible the problem is how can one be two? How can one be good-bad? "Anybody in?" asks "Is there a constant state of mindfulness?" Each hermit raised his fist to demonstrate constant mindfulness. "Too shallow": Speaking from the point of view of possible improvement, one's condition always remains shallow. Recognizing one's shallowness is important. "Free...": The second hermit is free in every way because he is in a state of constant mindfulness, which isthe only true freedom. Zhaozhou saw vividly what the monk had, before he asked, but wanted to make sure. The monk raised his fist in the manner commonly adopted by the Zen teachers of the time. 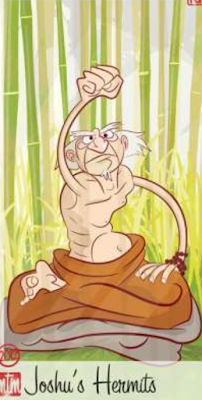 "Too shallow": Zhaozhou knew that the monk raised his fist impersonally, but he was disgusted with the conventional manner of Zen teachers, and could not help but complain at the sight of the fist. But the mind of the monk was no puddle, no matter what Zhaozhou said. Its waters may have appeared to be merely rippling, yet every wavelet echoed the surges of the great ocean. A few days later, Zhaozhou visits the monk again, asks the same question, and gets the same raised fist. Even if the Buddha confronted him, this monk would have raised his fist. If Bodhidharma visited him one hundred times, the monk would do the same each time. He would not be copying the conventional manner of Zen teachers, but would simply be creating his own Zen from the essence of mind; to each question he would be giving a fresh and original answer, without hesitating. He is the creator. He is the master. Thus Zhaozhou bows and praises. A fist held up, just that -- splendid indeed! A fist is a fist through and through. Here is no room for discrimination. 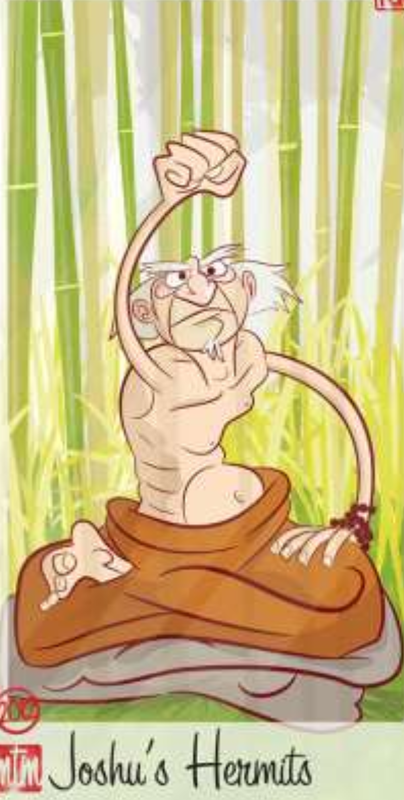 When you can really see through this fist, then Zhaozhou's remarks, and his Zen, will naturally be clear to you. Zhaozhou's superficially contradictory and haphazard remarks in fact issued from his utterly free and creative Zen life. I leave it to someone else to judge. Pear blossoms by nature white. A northward branch looks cool. Zhaozhou asks, "Anybody in?" -- meaning Buddha nature or essential nature, which is our true self. When Zhaozhou tells the first monk, "The water is too shallow for a ship to anchor," he must have cast a glance at the hermit's face to see his response to this abuse. If the hermit showed any sign of having been offended or irritated even a little by the words of scorn, his Zen practice must have been shallow indeed. If his consciousness was as steady and immovable as the fist itself, his face would not have shown even a trace of irritation. When Zhaozhou tells the second monk, "Freely you give, freely you take away; freely you kill, freely you give life," he again cast a glance at the hermit's face. If the hermit showed even the slightest sign of pleasure at this words, Zhaozhou would have discovered the degree of the hermit's state of consciousness. When you sit with this koan, you must enter as far as possible into the state of consciousness of each hermit as well as that of Zhaozhou. Then you will grasp what was going on between them. Perhaps one day you will be able to see through all three of them. Two hermits -- what is the difference? Their sameness is their difference. Dissolving the illusion of "sameness" and "difference"
Into just this! just fist! just thist.